No, it is not necessary to install a VM. You can install RSAT on any available windows system that is connected to the network. …AND joined to the domain, AND using the Samba AD as DNS server, else it will still not work. I see everything : Users, pc’s and groups I made in Nethserver. 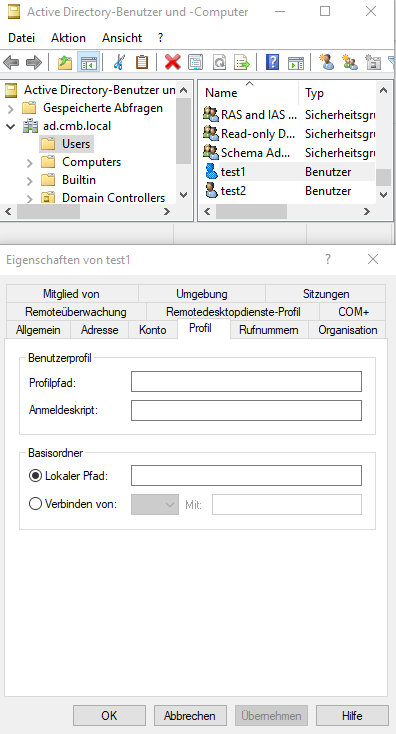 It would seem that you are not using Active Directory Users and Computers for this task, as even without having advanced features on, there are a lot more options in my properties windows. In order to see the unix attributes and/or edit them, you need advanced features in ADUC. 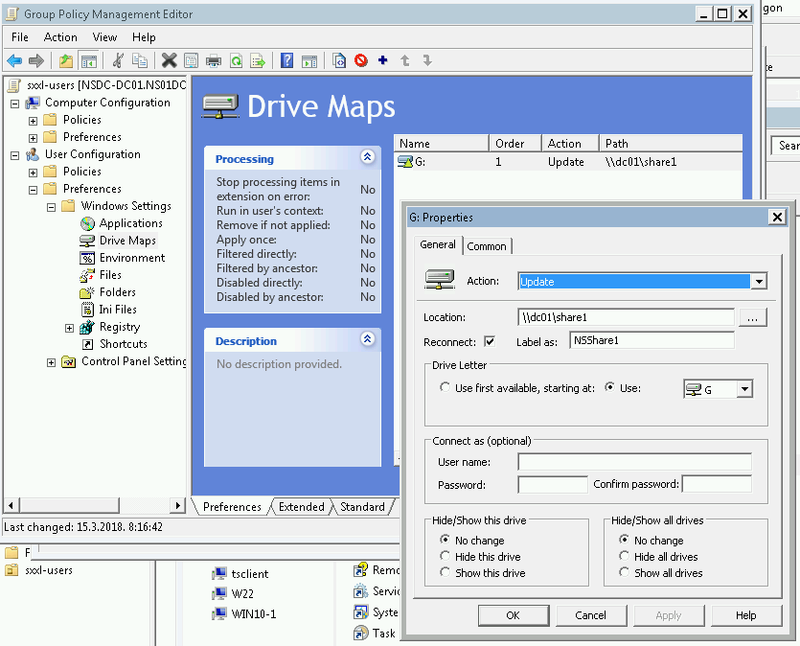 The correct way to get to the users is opening mmc.exe and adding the snap-in Microsfot Active Directory Users and Computers, and use that to edit the user properties. Which Windows version do you use? I can see everything - users, pc’s and groups. I’m using Windows 10 and I downloaded a client for 10 and I opeped it with admin rights. The only thing missing in the whole process is the Logon Script in Profile tab like some feature is missing somewhere. Also profile and remote and joined together for some reason. See picture above from my answer. Seems to be an M$ problem, if you have the possibility just try on another client. Please check your version of RSAT and try to install actual one and do updates and don’t forget to reboot as M$ systems like it. This is why I don’t want to install any crappy MS features. It’s always a mess with these guys. Everything has to be complicated and slow with microsoft. I am sorry to say, but this is NOT a Microsoft issue NOR a NethServer issue. 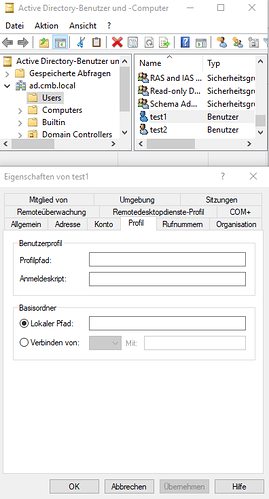 I have just repeated my test on a new domain with a new Win10 machine, and it just works as I have shown previously. Remote Server Administration Tools for Windows 10 can be installed ONLY on computers that are running the full release of Windows 10 Professional, Windows 10 Enterprise, or Windows 10 Education. Also: Remote Server Administration Tools for Windows 10 is available only in English (United States) for this release. If you are running Windows 10 in a language that is not English (United States), be sure that you have installed the English (United States) language pack before you install Remote Server Administration Tools. Move English (United States) to first. And finally: Actually I found the solution elsewhere. And because you can’t actually uninstall it properly you will need to re-image or perform a system restore perhaps. My opinion is that it has to be done as soon as possible. If i was a programmer I would help. You may help with testing. Testing is my profession - any help from me, you have it. I tried to push our request here. It’s on my list now but I have to collect some information and think about solutions. In the end it was all about the language. I’m just about testing auto-map shares on the server (incl. home folder) . Everything seems to be pretty easy and correct so far (so good:) . I see this post is about firing scripts after login , but if this is all about just mapping the shares than we do not need scripts at all. As soon as we successfully install RSAT on domain member, GPOs are ready to be used in order to automatically map shares. Best practice would be to use OUs because then GPO usage is very well controlled. Next time this user logs in , his home folder maps automatically . Mapping other shares -> use GPOs without risk ! 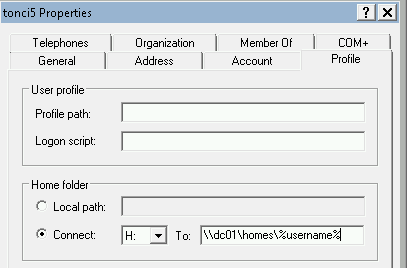 If actual user belongs to the OU which has this GPO linked, after login this share will be automatically mapped. 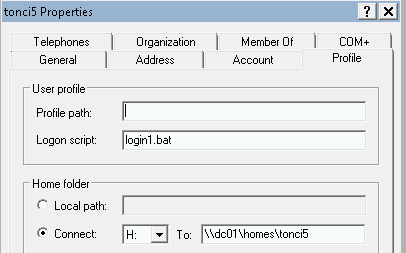 Script login1.bat run after user login. From this experience of mine I can say that RSAT itself did all the work (w/o any mistake ) which is very good from my point of view… Maybe we could ask ourselves : where is the catch? drwxrwxr-x. 4 root root 33 Mar 16 21:50 . So far so (very) good !!! So , yes, linux users are generated also (now I remember I read it in one other post) , and their home folders that are all visible as shares from this server , and every home share shows all home folders from other users but only own folder can be entered… Is this expected behaviour ?